Any Superman fan (or even casual comic book fan) already knows the story of Superman’s origin. 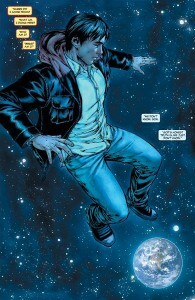 A baby sent from Krypton destined to protect the Earth after the loss of his home world. With his incredible abilities, faster than a speeding bullet, he stands for truth, justice, and all that wonderful jazz. The Man of Steel. However, this is Superman: Earth One and while all those elements are here, this is a new interpretation of his roots. 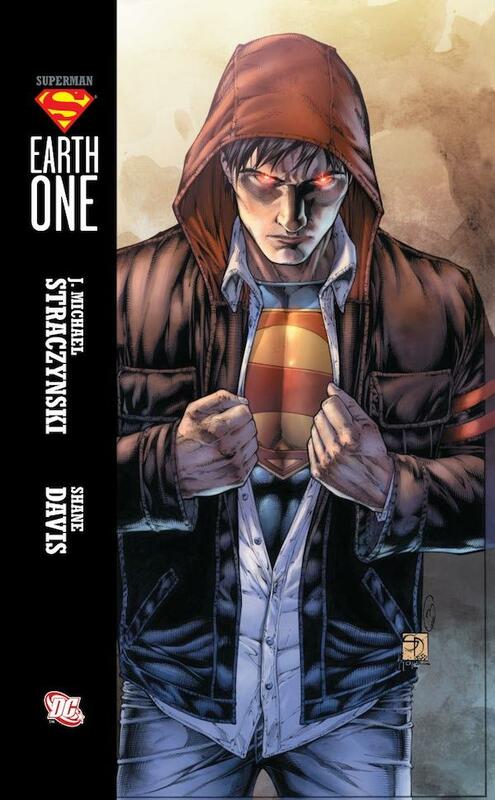 Written by J. Michael Straczynski (Rising Stars, The Amazing Spider-Man) and brought to life on the page with the truly wonderful art of Shane Davis (Justice League of America: The Lightning Saga, Superman/Batman: The Search for Kryptonite), Superman: Earth One is meant to ring in a new era of DC continuity as the beginning of the Earth One series. And with Davis’ art, man, what a beginning! I’m not here to bash Twilight, but it was rather upsetting to see a great icon being trashed for cover art that supposedly implied Superman was becoming an “emo hipster.” What bothered me the most was that no one talked about the content of the book – they were literally judging a book by its cover. So now I’d like to try to counter those headlines. Straczynski makes it pretty clear from the beginning, in the dedication, who he made this book for. It’s meant to go out to every fan of Superman. Every person who’s ever loved the character at any point in any way. 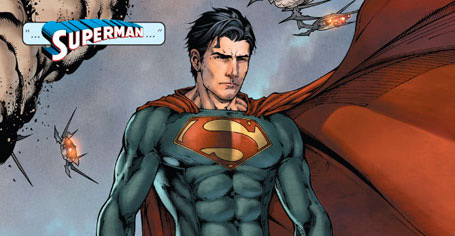 Now he brings a new story, a new playing field, for those fans to fall in love with Superman once again. And so it begins with a more modern setting that sees a Clark Kent in his early twenties journey to Metropolis for the first time. Without revealing too much, I gotta say I loved the first page with the simple art of Clark boarding a train, accompanied by an overlaid conversation with Martha Kent. Clark explains that he’s not flying because he needs the time to think and prepare himself for a real big step into a new world. The story flows as Clark spends his first days in Metropolis job hunting and setting up a place to live. In the job hunt, besides the must-stop that is the Daily Planet, Clark also tries out for football and to be a scientist. Ultimately, Clark shows that with his abilities, he could have any job he wants and make a lot of money doing it. Better than that, he’ll be able to take care of Martha as he promised. He can do something he yearns for so badly: fit in with everyone else. Straczynski clearly wanted to tell a particular story of a Clark Kent who was an outsider with infinite potential. Clark could have gone anywhere and been anything he wanted to. It’s not that Clark’s values aren’t the loving ones we’ve become accustomed to – him learning from the Kents – but more that this Clark wants to become something other than just a loner. He’s never known who he was, he’s had no sign other than knowing he’s an alien and that he has powers. This is a Clark who is lost in the simplest question of wondering why he’s here, in this particular modern here. Will this premise of the story work for everyone? No. Will there be disagreements on the way the character is handled here? Of course. But as the book progresses, it shows more and more of how this is just another form of the Man of Steel, not a total derailing of the icon. We see some truly wonderful moments between Clark and Jonathan, often as reflections on the past. 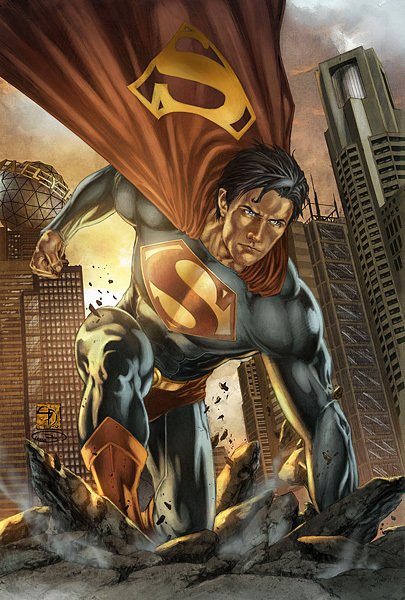 While Clark struggles with the idea of putting himself into the limelight as Superman and bearing the weight of his civilian life becoming his mask, a new villain to Superman mythos attacks the Earth. The villain stems from the new origin related to the destruction of Krypton. As he attacks, the lives of many, including Lois Lane and Jimmy Olsen, are put in danger and Clark must rise to the occasion. Through a nicely constructed pattern of events from Krypton to the present, where Clark faces his destiny, it becomes very clear why Clark chooses to be Superman. One of the best parts of it all is Clark’s reflection on Jonathan’s words to him. I don’t want to give too much away, but let’s just say that when Clark makes his debut as Superman, it’s a truly gloriously handled moment both in the writing and most certainly in the art. By the end of the book, we see Clark becoming the Daily Planet reporter we know him to be and accepting the destiny of being Superman. When looked at from the right perspective, this book is a love letter to Superman fans. It’s a fresh look that reminds you of some of the best elements of the character at the core. The story is well formulated to bring every facet of Clark’s love for Jonathan, his Kryptonian history, his move to Metropolis and introduction to Lois Lane all up to speed with his arrival on the scene as Superman. Davis pulls out all the stops in making the art more than easy on the eyes. There are some frames that you just want turned into posters because they look so darn good. And above that, the feel really comes across for Clark and his world. Even if you’re just so-so about the story, the art is top-notch. 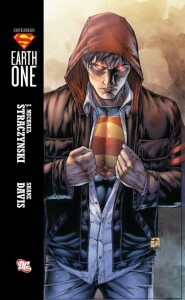 Straczynski, in my opinion, succeeds in his goal of telling the story about why Clark becomes Superman. From the standpoint of a character-driven story, it brings texture to Clark that makes him both man and Superman at the same time. A really cool feature that they add in is at the end of the book, with a printing of the Daily Planet’s interview with Superman. It’s just a great read and brings even more depth to the journey of this Clark. All in all, I went in with medium expectations. I love Superman and am also a huge fan of the Ultimate Marvel line, so hearing about this Earth One business was quite a stir of excitement for me. But I was worried about how the book would turn out, even though I already had read and enjoyed some of Straczynski’s other work. In the end, though there were the minor moments where I could agree with some that it didn’t quite hit the right feel of a Superman story, they were few and far between. When they weren’t there, I was thoroughly enjoying this new interpretation of the Blue Boy Scout. I would recommend it highly to anyone looking for a new Superman story, wanting to start from the beginning, or just wanting to read a good story with some amazing art to it. 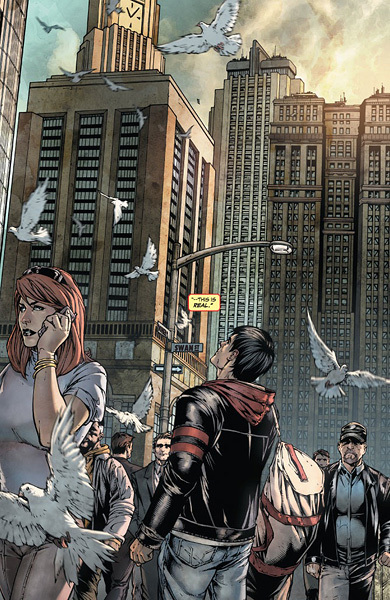 Hopefully, Superman: Earth One is just the start of a new Superman story that can continue to capture the soul of the character for both old and new audiences. 4 1/2 out of 5 stars. The art is seriously stunning and the story really reflects on Clark and Superman as character which a veteran fan can appreciate, but hopefully can grasp to new minds as well. You can start out totally fresh here as this is a new continuity for DC. It’s always good to have some Superman under your belt to get some of the homage to the original, but truthfully you can walk in to this for the first time, though I’m sure it’s less appreciated that way. Hopefully another volume to be released in this series down the way. If not, there’s always Batman: Earth One coming up. 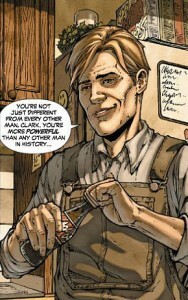 If you’re looking for the current in continuity origin story of Superman, check out Secret Origin. Or just work your way down the recommended Superman reading order. It has been a great read. Was worried about a lot of the publicity it was getting, but it turn out great. But I also like a good Straczynski book. What’s your favorite thing he’s written? I know he’s the hot thing right now, but I haven’t really read much by him yet. It started following in with his pre-Civil War Spider-man run which was like 6 years, but also he wrote for some cartoons from my childhood. He-man, Sha-ra and The “Real” Ghostbusters. Never got into Babylon 5, but some people love it. I read Civil War – he was involved in that? I’m honestly still relatively a Marvel noob, though I expect to be up to speed by the time I’m done with our reading order. Don’t think he had anything to do with Civil War directly, but was writing the Amazing Spider-man book during Civil War, and I think he stopped right after that. Righto. I’ve got a saved ebay search for the Ultimate Collections of his spider-man work, so hopefully I’ll pick them up eventually. I really enjoyed his Rising Stars series and would recommend that to anyone. I always think of the old Tokyopop “Rising Stars of Manga” anthologies when I hear that, which probably leaves the wrong impression. Yeah Rising Stars was a pretty good series; I have the compendium of it which has all the other tie-ins and spin-offs which aren’t as good as the main series. That last picture is truly stunning. People keep bashing the “emo” look but most reviews seem to say it’s a great read. My question is… I don’t really collect Supes. I stick mostly with Batman with the few tie-ins. But I do like origin story and I already have For All Seasons (which I love). Considering Secret Origin, Birthright, Man of Steel…. How many origins should I bother with really? Personally, based on For All Seasons (which is awesome.) I’d grab Man Of Steel. It may be a little dated, but it’s still a total classic. Just like Year One Era batman, though, almost all the Superman origin stories are touching and enjoyable, just don’t expect them to all make sense together. I also enjoyed reading this, and have to say the first few pages blew me away. I know it’s not “the” Superman origin, but it is the my favourite by a long way. First I’ve heard of this being someone’s favorite superman origin. That gets me more excited/annoyed than ever that my guy still hasn’t found me a copy! Can’t blame you for that one, hope you can get it soon! Thanks for the review Lonefeather. I avoided reading this until after I read the book. I just finished it today and was VERY pleased with the book. It wasn’t mind blowing, but done with, what I felt, a lot of respect to the character and tradition with an appropriate modernization of the entire cast. I really enjoyed how they portrayed Jimmy and Lois as well. I liked seeing the intellectual side of Kal-El. That’s not something that many of his stories showcase. I really do hope they continue this series. Not nearly enough, I think! He’s supposed to have a super-brain, right? But he’s portrayed as a big strong idiot in so many stories. It’s cringe-worthy. That’s great news! I’m already sold on the next one just to see where he goes with it. I thought it was very interesting how he setup the destruction of Krypton with the new villain. I’m curious how far away from the standards he’ll push it. I really liked this trade when it came out. Stunning artwork and a very well crafted revamp of the Superman character, his supporting cast, and his history! Overall just a well done trade that I couldnt put down until it was done. Are you guys going to review Batman Earth One or the second volume of Superman Earth One now that they are out? jerseys, including counterfeit NHL jerseys.Sangria Bailey Button You recently wrote about the.